Beer Nerd Details: 11.5% ABV bottled (750 ml red waxed cap). Drank out of a tulip glass on 5/23/14. Lavery continues to be an interesting little brewery, and I'd love to try some more from their barrel program... and I'll probably grab a bottle of Liopard Oir next time I see it. This page contains a single entry by Mark published on May 26, 2014 7:53 PM. Cascade The Vine was the previous entry in this blog. 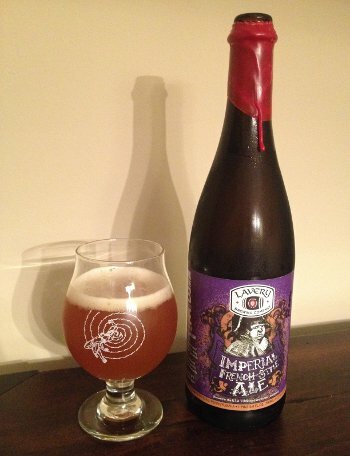 Crooked Stave Origins is the next entry in this blog.